It’s a collaboration that you desperately want to see work; the coming together of two distinctly individual performers. 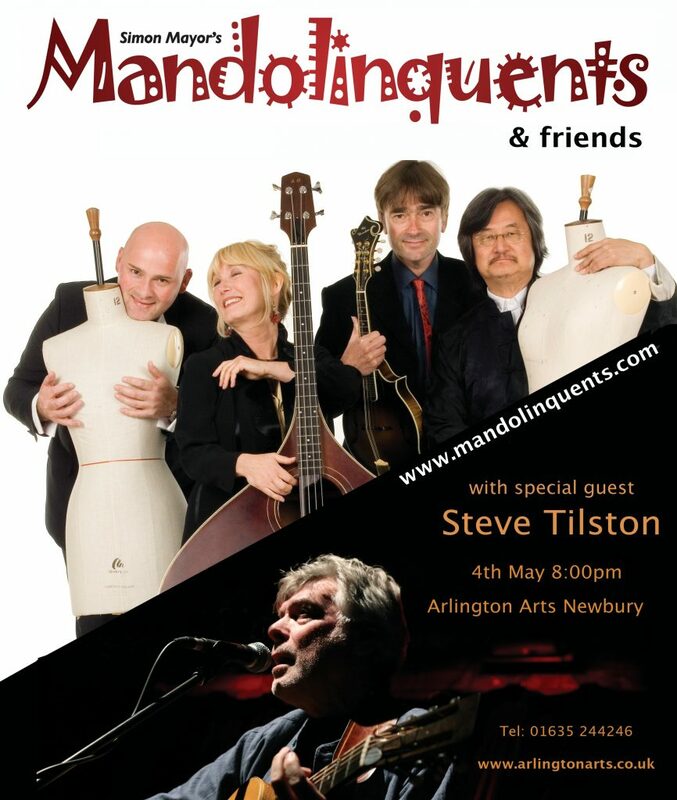 Despite being well established solo performers, both have enjoyed a string of collaborations in their respective careers, Steve Tilston with John Renbourn’s Ship of Fools, WAZ and most memorably in partnership with the late Maggie Boyle, whilst Jez Lowe has enjoyed some success with hurdy-gurdy player Jake Walton as well as being the leader of his own band the Bad Pennies. Both are possessed of instantly identifiable personal styles in terms of their song writing credentials, their immediately recognisable voices and their equally distinctive instrumental chops. These days of multi-collaborative work, forged by a plethora of young musicians who by learning their craft through such as the folk music degree courses, are organically entrenched in it, but this doesn’t always apply to highly individual performers who have been at it for years; there’s a sense that they have to work at it a lot harder. powerful to the whimsical, exemplified by Lucky Sami, a song addressing the current refugee crisis and The Wagga Moon, a thoughtful reflection on the faded steel industry, whilst The Strings That Wizz Once Strummed and Mrs Einstein are jolly nods towards the influence of guitar mentor Wizz Jones and the long suffering spouse of our favourite physicist. The album title derives from the opening song, which looks at the dualism of truth and deception, the past and the future, utilising the image of the two-faced god from Roman mythology, hinted at in the double portrait on the cover. As a collaborative experiment the album works surprisingly well, but at the risk of essentially sounding like two individual mini albums wrapped into one, but maybe that’s just because I can’t shake off the notion that these are two highly individual solo talents. And you can get your tickets here! Male Vocalist of the Year 2015! Last night during a 2-hour special on Blues & Roots Radio, the winners of the Fatea Awards 2015 were announced and Steve was the lucky recipient of the Male Vocalist of the Year. The awards are nominated by the Fatea team and recognise excellence over 2015. 2015 was certainly a memorable one for Steve including walking the red carpet with Al Pacino at the premier of the Hollywood movie Danny Collins. The release of his fabulous album Truth to Tell. 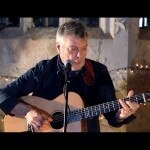 A successful first Tilston & Lowe UK tour, brilliant new collaboration with Jez Lowe. Then to cap it all off to hear he’d been shortlisted in the Fatea Awards… and then the winner! 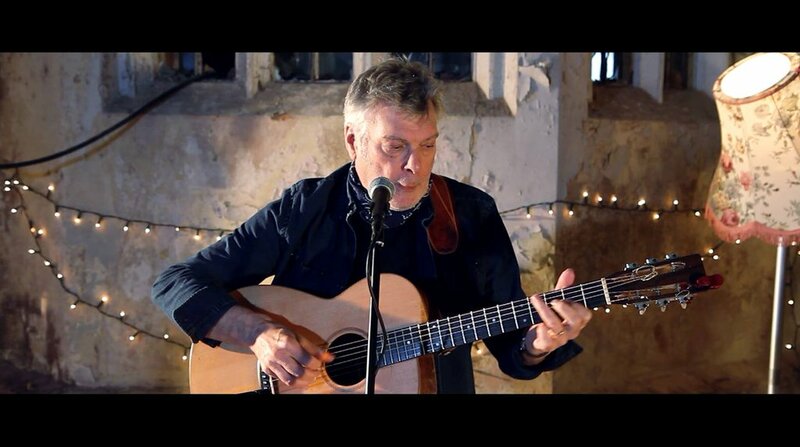 Steve recorded 5 live tracks at the beautiful Poltimore House in Devon recently and the fruits of his labour can be viewed here: Poltimore Sessions and XTC online.